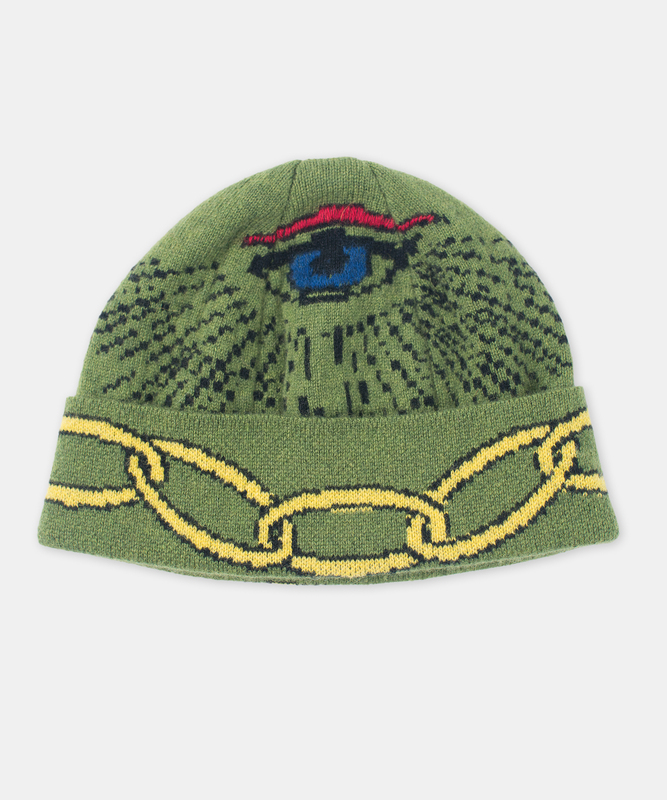 Wild design motif includes a third, all-seeing eye with hand-embroidered details. One size. Please inquire for availability and lead time.